Your own personal trainer? Maybe this is precisely what you need. 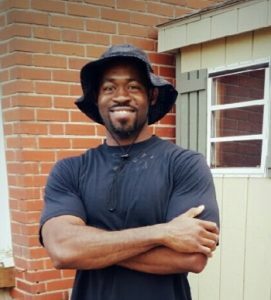 Derrick’s fitness training strategy is rooted in a passion for working with people and sharing in their success. A personal fitness trainer will guide you on a journey to a stronger and healthier life. With SoLi Fitness you aren’t joining a health club or buying a gym membership. You’re investing in yourself. Derrick’s fitness training is customized individually to you, to your needs, and to help you achieve your goals. Through SoLi Fitness you can find: a complimentary fitness consultation and evaluation; 1 hour or 30 minute personal training sessions either at the facility, at the client’s home or at a nearby convenient location of choice; couples or multiple person’s training; seasonal boot camp and small group classes; nutritional support; written workouts; and regular progress check-ups. Personal fitness training is unique for each person, because each person is coming from a different place, and each person is trying to get to a different place. As a result, your personal fitness trainer will create a roadmap with you that makes sense to you, your lifestyle, and your budget. My name is Derrick Johnson, and I own and operate SoLi Fitness. My motivation for staying fit is my family, and my desire is to be healthy and active with them for many years to come. Motivation is key; it is what gets you out of the bed when the alarm goes off and out the door when the weather is less than perfect. A personal trainer can help you focus your motivation into results. That’s what I do. Together we’ll work hard. Also we’ll look to enjoy ourselves and appreciate the journey as we get you to that healthier, stronger self that’s eagerly yearning to emerge. When you’re ready to go for it, I’m here to help. No worries, your email is safe with me. I will never give it away to anyone else.